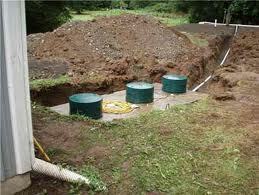 One of the most difficult home improvement projects you may find yourself dealing with is a septic installation. Perhaps your old tank is in ill repair, or maybe it is just outdated and you are worried about the possibility of problems in the future. Because of this, you decided that you need to install that new septic tank. So, how should you go about choosing the right company for the job? You want to find a company that is competent and knows the business of course, but you don’t want to spend too much either. The experts at Superior Septic Service pride themselves in offering septic installations at a great price. In fact, the company offers a low-price guarantee. You cannot find a better price for septic installation service in Bothell, Washington or any of the surrounding areas. Quite often the prices at Superior are noticeably lower than the other septic services in the area. The old adage says, you get what you pay for; however, in this case it is not true. You may pay a lower price, but you will get service that meets or beats other companies in the business. In addition to offering top-quality service, the septic specialists will do everything they can to make you feel comfortable with the situation every step of the way. Customer service is our priority. Superior Septic Service can work with your septic problem no matter how big or small. Unlike most companies, they offer two different truck sizes, so even if you have a cramped driveway or live in the city, the truck can easily maneuver to help install the new tank to your specifications. So, next time you find yourself with a septic problem,whether it is just the need for a septic pumping or you need to install a new tank, consider Superior Septic. You are sure to appreciate the high-quality workmanship, friendly service and low prices. If you have to deal with the inconvenience of a malfunctioning septic system, at least do so with the experienced team from Superior Septic Service on your side.